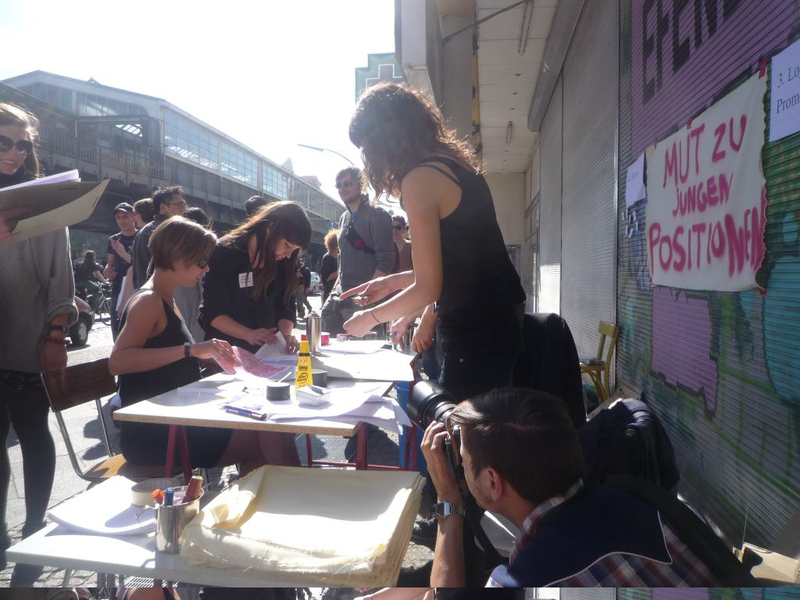 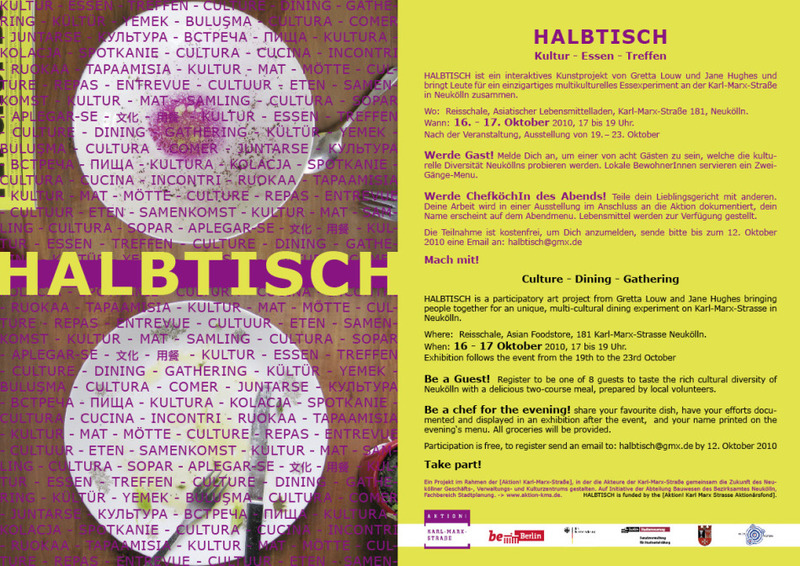 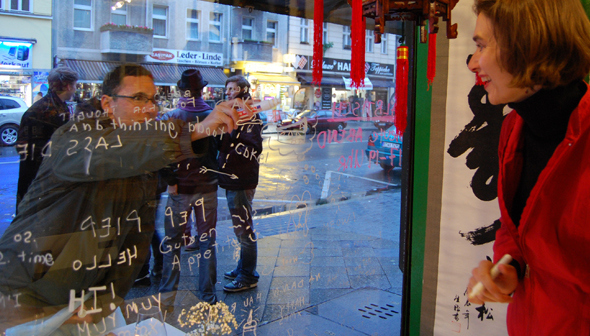 Halbtisch, was a multi-cultural public dinning experiment, the participartory art action took place over two days on Karl-Marx Strasse, Berlin-Neukölln. 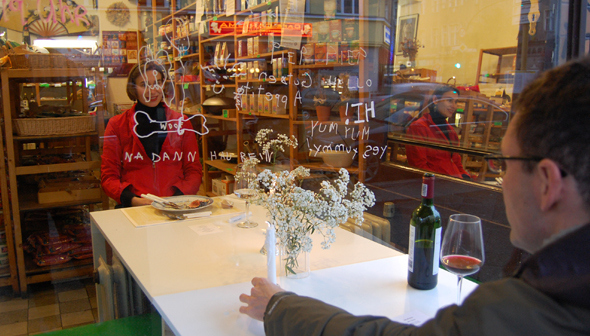 The work was a collaboration with artist Gretta Louw, funded by the city of Berlin, 2010.
halbtisch from jane hughes on Vimeo. 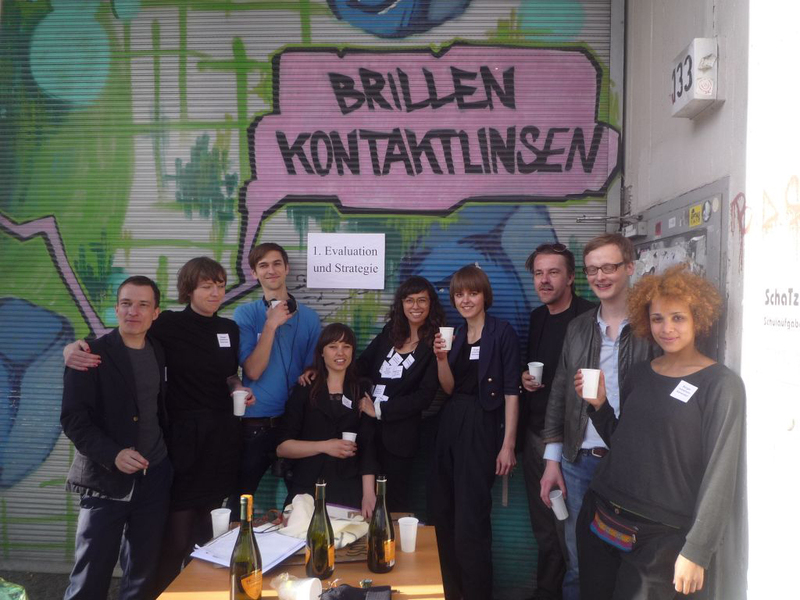 Bürgerinitiativengenerator / Social Movement Generator from Dr. Fahimi on Vimeo.